This is a Youtube video I saw today. Interesting. A couple of things to note. I don't know where all the swimming pools in San Miguel are. They are fairly rare, as they are expensive to heat and maintain. We do have hot springs nearby (which I don't think NYC is blessed with). Also, I don't know where the minigolf course shown in the video is located. No idea! Below you see me eating a Cubana sandwich which compares favorably, I believe, to sandwiches in NY. However, in San Miguel it cost less than $2.50! Eat your heart out! This is me at a new restaurant just outside of town. The owner is a New Yorker who opened a nice thin crust pizza restaurant a few months ago. Thursdays you get a free dessert pizza with a large. We had Granny Smith apples with walnuts and cajeta (caramel topping) and another with cream cheese, blackberries and a kind of streusel topping. Yummy! 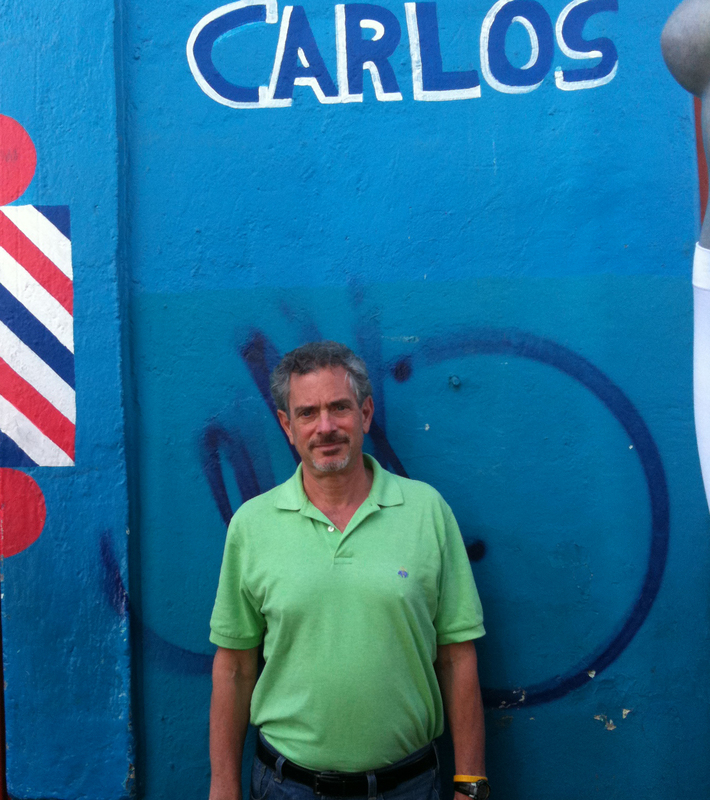 And a photo of me in front of a barbershop in Oaxaca during our recent trip. There is an interesting concept in Mexico which has no equivalent in English. That is the concept of "tocayo". A "tocayo" is a person who share your first name. 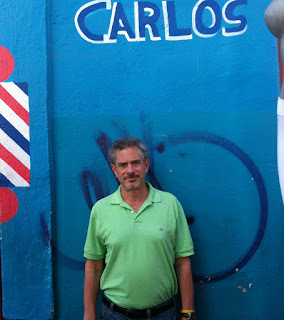 So Carlos the barber and I are "tocayos". I didn't test the relationship by asking him for a loan.